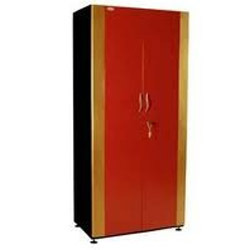 The provided almirah is widely used in offices and educational institutes. We are a unique name in the industry, devoted towards offering the best quality range of Steel Almirah. We manufacture and export a quality range of Hospital Furniture such as Steel Almirah, that is made using superior quality steel procured from reliable vendors. These Almirah are manufactured under the close supervision of our engineers and are tested on various parameters to ensure durable finish standards.